Yes, this is a repeat recipe, kind-of. 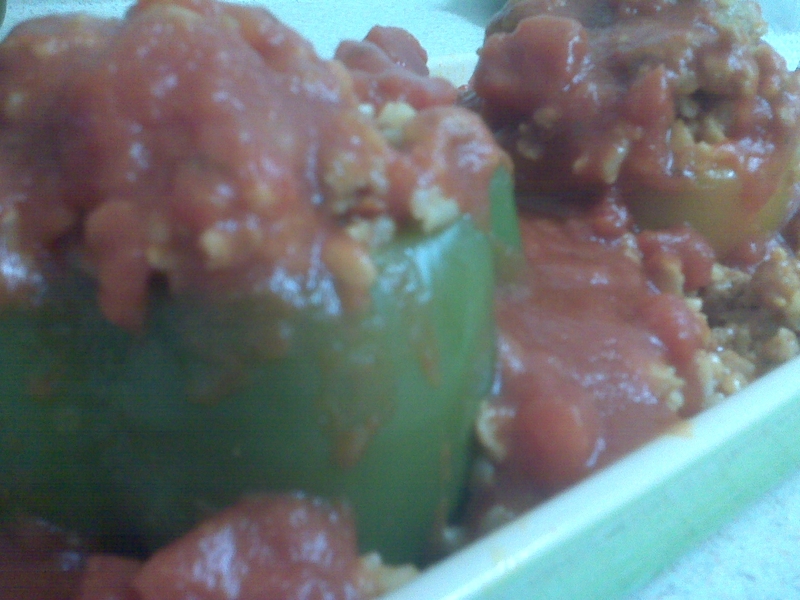 One of the 1st recipes I posted on this blog was for stuffed peppers. But being new to blogging, I didn’t include any pictures. 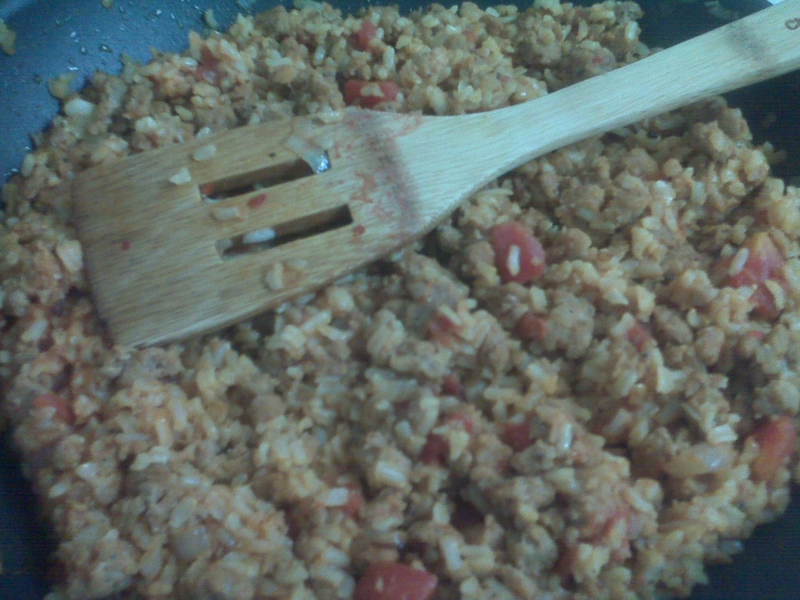 AND my recipe has gotten so much better than it was! I had a Monday off, so I decided my “leisure” activity would be to explore a new local meat market. Based on Yelp reviews, I decided to head to McKinnon’s Meat Market in Somerville. I picked up a whole stock of meats, included some amazing looking fresh ground hot italian pork sausage. The second I picked it up I knew I was going to try it out in my stuffed peppers recipe. For all my vegetarian friends out there, you can also make this recipe with soy crumbles, so don’t discount it yet! 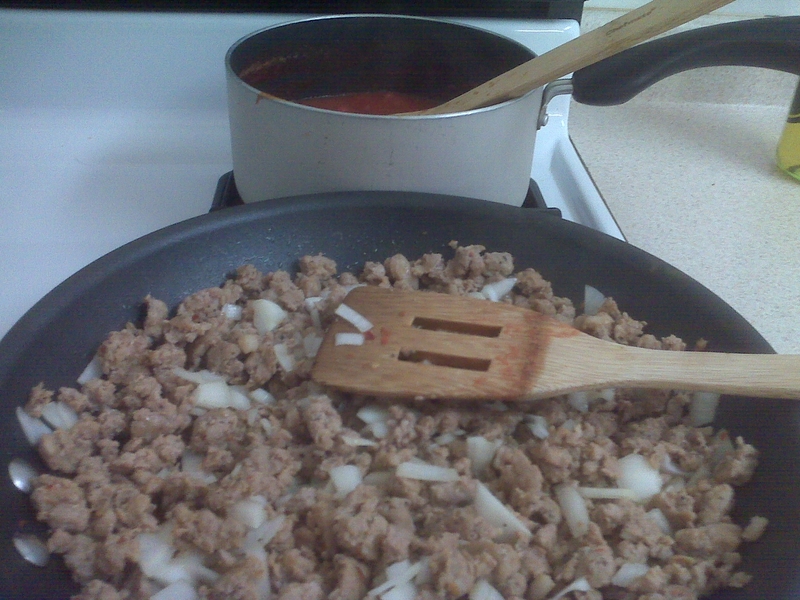 As a matter of fact, before using the sausage, soy crumbles were my favorite “meat” choice for this dish! Preheat oven to 375. Peppers will begin to soften as oven heats. Remove the peppers when the temperature hits 375. Leave the foil on the peppers so they can steam. 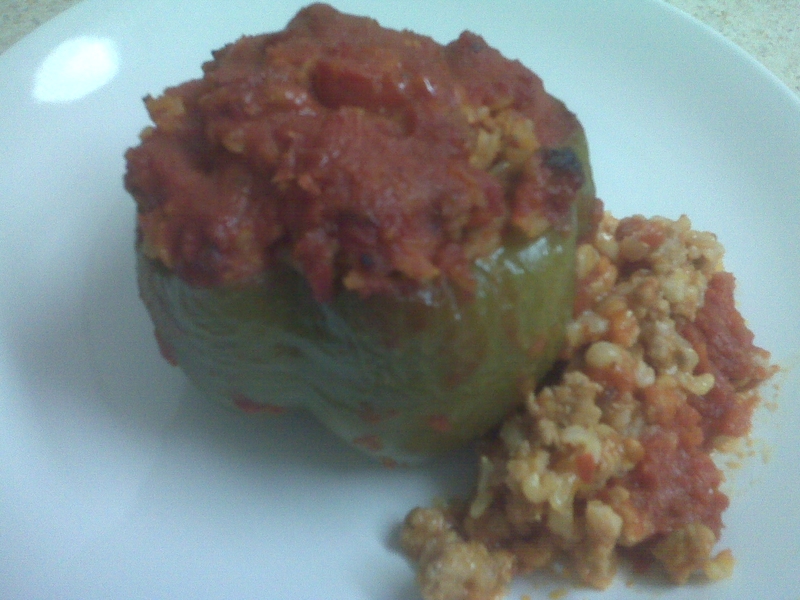 This entry was posted in Recipes and tagged comfort food, cumin, dinner, green peppers, hot meal, Morningstar Farms, recipe, rice, sausage, soy, soy crumbles, soy recipe, stuffed peppers, vegetarian by reneeh. Bookmark the permalink. I don’t know why it took me so long (more oversight than anything else) but I finally added you to my blogroll so I can ready your blog regularly! I look back at some of my first posts and wonder why did I leave out photos or crucial parts of how to make it? I definitely want to go back and re-visit some of them for my blog! I love your pepper-softening idea. Mine usually come out too firm for my liking.